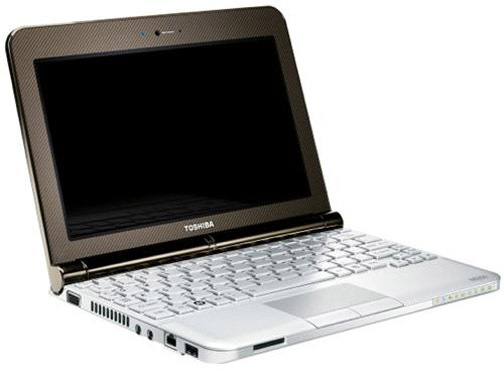 While most netbooks are settling for 3 and 6-cell batteries, the Toshiba Mini NB200 will be bundled with a 9-cell battery for a promised 9 hours of run time. Just announced for the UK, the Mini NB200 is completely typical aside from its battery, with an Atom N270 or N280 processor, 160GB hard drive and unspecified (but probably 1GB) of RAM. Yet in spite of its fatty power source, the NB200 still weighs under 2.5lbs—which is either an extreme feat of engineering or the result of an overzealous press release. We’ll hope for the former.